13 months on, and the issue of electoral rigging is still alive and well. Many of us wish this were not so; that Imran Khan would just give it a rest and get on with his parliamentary duties rather than taking his band of merry men town to town, stirring up the same issue like a broken record. Quite a few also suspect that the purpose of his actions may not simply be the pursuit of justice or even electoral reform. For them, it seems quite logical to assume darker motives. Such speculation is eminently justified given the events currently unfolding in the country. However, on his side, Imran has one very basic point that makes him infuriatingly difficult to refute: the element of doubt. By repeatedly hammering away at the infamous ‘four constituencies’, Imran is pushing at a door that can very easily lead to a complete invalidation of last year’s election results. Ironically enough, it is many of the staunchest proponents of democracy in the country who seem to have found themselves vocally opposing his demands for result verification and transparency. In fact, almost everyone other than those actively opposing the sitting government seems to be hesitant to revisit the election results. So, why is everyone so irritated by Imran’s continued insistence? The reason seems simple: everyone suspects things were not completely above board during the election. It appears that there is a general understanding that there was a less-than-complete compliance with the rules and procedures involved in ensuring a free and fair election. The problem has, thus, moved from whether there was some element of rigging to whether it had a significant impact on the overall outcome of the election. This is where Imran’s critics know how much of a nuisance he can be if he starts highlighting any and all non-compliance to cast doubts on the validity of the election results. The inevitability of finding unverifiable votes, non-existent CNIC numbers, multiple votes from the same individual, and the likes, mean there is a grey area that provides ample space for speculation. The whole procedure of the interpretation of election results, thus, no longer remains an absolute phenomenon, and instead becomes an interesting problem in uncertainty and inference. Given that we know the system to be less than perfect at recording votes, at what point do we consider these results to be useless for interpreting the will of the voters? Should one or two dubious votes be enough to deem an election result invalid? Should a thousand? Should 10,000? These are the uncomfortable questions most people seem intent on avoiding. If we consider the actual votes to be a signal of voter intent and actions that violate the stated procedure to be noise, we need to consider two questions. Firstly, is there a possibility of bias in the noise? That is, would violations systematically favour one party over the other? As it stands, Imran is vehemently insisting that this is exactly what has happened. He accuses the electoral machinery of favouring the Pakistan Muslim League-Nawaz (PML-N) over others. Secondly, is the level of noise small enough to be ignored? This means, even if no one party was being favoured over the other, it is possible that the results are so manipulated from sides that actual votes become irrelevant to the result. So far, we are dealing in very simple probabilistic terms. If we were to start considering the election process to be a complex dynamic system (which it is) we might see even more serious repercussions stemming from the slightest aberration. 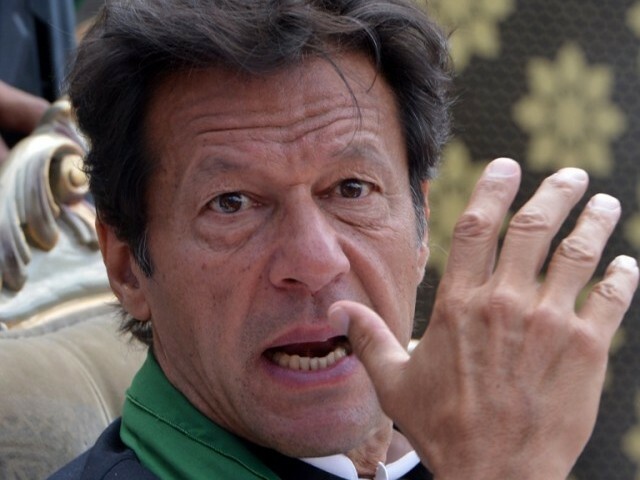 As it stands, the only responses to Imran’s incessant noise-making seem to be insisting that the noise was not systemic (pointing to dubious Pakistan Tehreek-e-Insaf (PTI) victories) and completely ignoring the issue of signal-to-noise ratio. The PML-N initially responded to PTI’s demand for verification by claiming that it was impossible to do due to issues with the ink used during the elections. They currently seem to have agreed to acquiescing to this demand, as well as throwing four more constituencies into the mix. In doing so, they will be putting themselves into a precarious position. On the one hand, they might be successful in showing that any statistical aberration in the election results is not systematic. However, on the other hand, they may also end up proving the statistical insignificance of the election results. If eight, rather than just four constituencies, had their results determined by chance (or manipulation) rather than by the actual will of the voters, this just confirms that there is a large amount of noise in the electoral system itself. This serves to further strengthen the point that the outcome of the elections had little correlation with the actions of the voters. It is also important to note that the concept of things ‘evening out’ is not much consolation to the voters who are unable to have a say in electing their local representative. 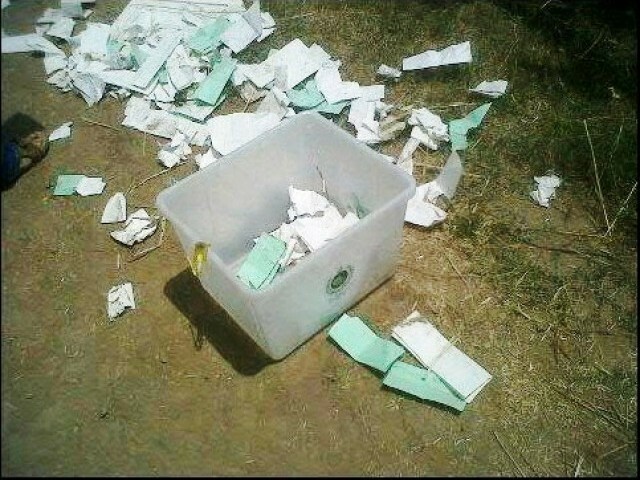 If rigging means that a constituency that would have gone to PTI went to the PMLN, and the reverse happened in another, the result card for the assemblies may be the same, however, the result is that there are now two constituencies where people are represented by someone they did not elect. From the perspective of the voting public, the introduction of noise into the voting system results primarily in reducing their say in the actual process of electing their representatives. If factors other than the actual votes cast start to overshadow the actual process, the result will be a loss in voter confidence and a further reduction in voter turnout. This, in itself, poses an interesting issue, as reduced voter turnout further introduces bias into the system, as it leaves a particular type of voting public in play, and removes others. Needless to say, it is newcomers such as PTI (who are more dependent on newer voters) that fear this outcome than traditional ones. As it stands, the situation is extremely fragile for all involved. Imran’s intentions in repeatedly calling for result verification can be called into question, but his demands are logically sound. The fact that such large proportions of votes are unverifiable due to the incompetence of the Election Commission of Pakistan (ECP) means that it may be impossible to fully ascertain how reliably the results reflect the will of the people. The actual impact may have had no impact whatsoever, or they could have made all the difference – there is no way to tell. The only certainty in this situation is that this hodgepodge is the doing of the powers that were responsible for conducting the election; it is they who have brought the country to this point. If we are to continue proudly declaiming our commitment to the democratic process, there should be a unanimous call to bring the perpetrators to justice. In fact, more than the PTI, it is the sitting government that should be actively pursuing whoever has led to a situation where their victory has been soured and their legitimacy is being called into question. 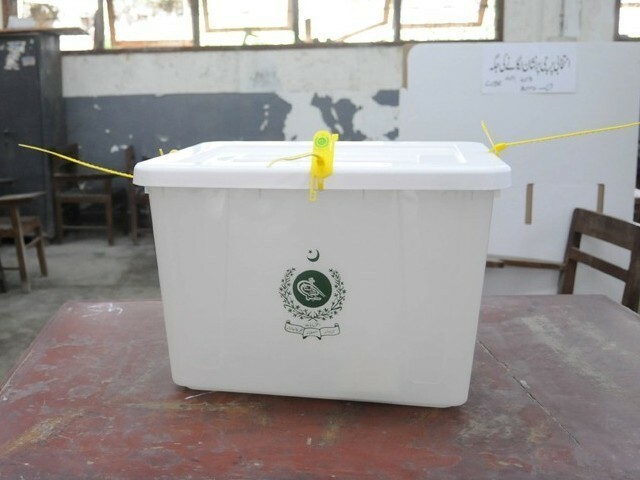 Do you think the 2013 general elections in Pakistan were rigged? Can the PCB be trusted? recount. He got a recount. He still lost. He got a second recount. He still lost. There was a third recount. He STILL lost. Actually ended up losing by a bigger margin than originally. Then he went to court and got a stay order against the recount he himself had demanded. Need I say more? Total votes cast in NA-118: 169,137. In other words, total rigged votes formed 0.36% of total votes cast. My god, what blatant, world record, unprecedented, systematic rigging no? 0.3% of votes in one constituency is enough to overturn the credibility of an entire election isnt it? On this particular issue……..I feel Imran Khan is doing the right thing. An excellent analysis of election rigging in 2013. I hope our people on the top try to understand your article and act on time.However, I am afraid they don’t have the brain to comprehend your analysis on rigging of 2013 election and how to get out of it. I appreciate the logical conclusions made the author who is basically an engineer. So out of a total of 169,137, a total of15,835 are verifiable. Out of those 15835 around 600 were confirmed to be false. So, all the other votes? Nobody knows! Seriously? What was wrong with my reply to this? Ok, let me just share the link where this claim is torn to shreds…. I think the author has done a great job of condensing the problem. Of course the election process had irregularities, Pakistani is a large and impoverished country, has poor institutional capacity, and the turnout in the last elections was a historic high. But the questions is how large were the irregularities and were they random? While there may have been biases in these irregularities in place, I, and I suspect the electorate, have been convinced for the most part that the resulting parliamentary picture represented voters’ aspirations. Mechanism of electoral rigging in Pakistan Part – 1 illegal vote of foreigners. Some Public office holder politicians have organized electoral rigging system for the increased of their vote bank. Easy target of these politicians is Afghan refugees so politicians facilitate and organized all procedure with the help of some corrupt NADRA employees. Important thing in all procedure is attestation of NADRA forms for this purpose politicians do have Fake stamp of their name and required signature is also done by hired another person who is expert to do fake signature of politicians. Another procedure is that senior politicians MNAs MPAs and senators force their junior Politicians to do attest foreigners CNICs form (to UC Chairman and councilors) sometimes politicians do with original signatures and stamp but this is almost suicide action for them. According to sources NADRA had issued only Notice to these traitors that may be they have been attested suspected aliens but never been investigate the matter. The reason is political interference in NADRA and lack of forensic evidences because of fake signatures and fake stamps.